Recent statistics have shown that a growing number of people in Canada are vegetarians or vegans, with rates doubling between 2003 and 2015 while many other Canadians have made an effort to eat less meat. It is well documented that a vegetarian diet is healthy and is associated with a reduced risk for heart disease, certain cancers and other health problems. Athletes (endurance athletes in particular), however, have greater dietary needs than the average person. There are relatively few high performance athletes who choose the vegetarian diets but the numbers seem to be growing. Dave Scott, six time winner of the Ironman World Championships, is a notable example. Many pro cyclists often have vegetarian diets but will eat meat at certain points of their training and competitive cycles. There are many articles and blogs that claim vegetarians diets either increase or decrease performance. Matt Frazier at nomeatathlete.com claims that becoming a vegetarian helped increase his performance in running events. This kind of anecdotal evidence is prevalent all over the web. But what does the science actually say? And how does limiting or removing meat from a diet affect athletic performance? Research has shown that athletes who transition to a vegetarian diet do not show decreased performance as a result. Unfortunately much of this research was done in the early 20th century and as late as the 1980s. Many advances have been made in training and sport nutrition in the last 30 years which make these older studies problematic. It is difficult to know whether the findings of these earlier studies will still hold up. Many endurance athletes who have switched to a vegetarian diet have claimed it has helped increase their performance in competition. 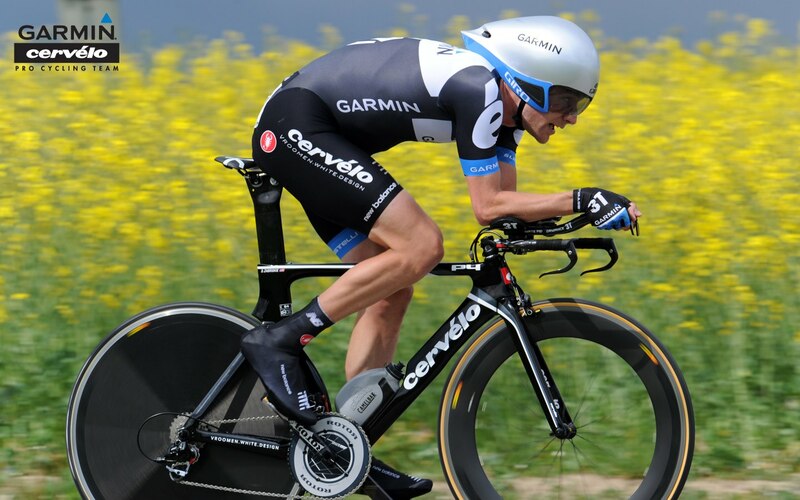 David Zabriskie was the first professional cyclist to ride the Tour de France on a vegetarian diet in 2011 but he still ate small amount of Salmon in order to increase iron absorption. In that year, Zabriskie seemed to excel, “the 6-foot cyclist dropped his body weight from 168 pounds to 154 while improving his dead lift from 150 pounds to 245. This while increasing his power on the bike by about 15 percent.” His race results in time trial and stage events give credence to an increase in performance that year. Many supporters of the vegetarian lifestyle attributed this to his choice to remove meat from his diet. But as stated, he still had to consume some fish in order to increase Iron absorption, a problem most average vegetarians can overcome but can be a problem for athletes under heavy training loads. Essentially the foods that a vegetarian needs to eat in order to replace the micronutrients they are no longer getting from meat have other healthy properties that meat lacks. There is also little research to determine whether those who switch to a vegetarian diet were getting a balanced healthy diet before the switch. It’s possible that removing meat from the diet is not the primary contributor to increase in performance but rather a result of eating healthier in general, a potential side effect of choosing a vegetarian diet. At any rate, a vegetarian diet, when carefully constructed and followed properly, has no discernible effect on performance either positively or negatively on its own. While it may be the case that an athlete can perform at a high level on a vegetarian diet, vegetarian athletes needs to be more vigilant about their food consumption. Many micronutrients readily available in meats are more difficult to find in plant-based diets. Fuhrman and Ferreri (2010) recommend supplementation of a few key nutrients: zinc, vitamin D, iodine, taurine, and Omega 3 fatty acid. Plant-based sources for these nutrients can be ineffective and poorly absorbed by the body if not obtained in the right quantities (which can be double the recommended intake of a meat-based diet). Omega 3, in particular, is difficult for many to obtain in plant-based foods. It does not occur naturally in the form needed by humans. It’s plant-based form (ALA) can be converted to DHA and EPA in the body but a large portion of the population does not have this ability and so supplementation of DHA and EPA Omega 3 acids should be considered. Many athletes, even those who consume meat, readily use protein supplements to increase muscle size and performance. In both cases, protein supplementation is not required in large quantities. It is possible for a vegetarian athlete to get the right amount of protein from plant-based sources. An excess of protein isolate has been shown to decrease lifespan and increase the risks of heart, liver and kidney related health problems. All athletes should aim to get their protein from natural sources either plant-based or meat-based. Iron from plant-based sources (nonheme iron) is not as easily absorbed by the body as meat-based heme iron when phytates are present. Phytate is present in almost all plant-based foods. The consumption of vitamin C and/or carotene rich foods in conjunction with plant-based iron sources can help with absorption rates. In addition, nonheme iron is more responsive to iron stores in the body. When Iron stores are low, nonheme iron absorption rates increase dramatically. As long as adequate quantities of iron rich food are consumed, iron deficiency should not be a concern. If it is, consider following in David Zabriskie’s footsteps and consuming small quantities of iron-rich fish. As with any athlete, as long as a nutritious well-balanced diet is maintained consistently athletes should have no adverse side-effects from a vegetarian diet. Because of the difficulty in obtaining some nutrients, however, vegetarian athletes need to be more diligent in their food choices; more so than average vegetarians and more so than those who eat meat. A proper vegetarian diet can not only support athletic performance but can result in a longer and healthier life (primarily due to the lack of refined and processed foods). FUHRMAN, J. and D.M. FERRERI. Fueling the vegetarian (vegan) athlete. Curr. Sports Med. Rep., Vol. 9, No. 4, pp. 233-241, 2010.